There are several types of fencing that will work in containing cattle. Below we have outlined some of those options and their benefits. 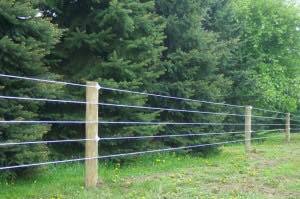 Whether you want a cattle fence that is electrified or aesthetically pleasing, we have a cattle fence for your needs. A proven standard in cattle fencing, electric high tensile wire is easy to maintain economical containment for any herd. When a secure barrier is needed to keep small calves in and predators out, turn to woven wire; no electricity needed or customize it with electricity. Always a solid worry free fencing option for cattle, aesthetically pleasing and a traditional look for your farm or property. When a more visible wire fence is desired, this poly coated high tensile wire fence will contain cattle with or with-out electricity. 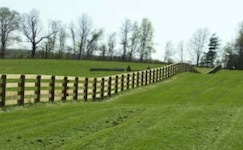 ProFence LLC is an agricultural fence provider and installer. 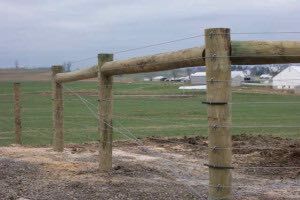 With locations in Shippensburg, PA and Harrisonburg, VA, we are conveniently located to help with all your cattle fencing needs. Choose the cattle fence option above that you are interested in for more information. Having ProFence install your fencing means that you will never have to worry about the quality of fencing materials or proper installation. 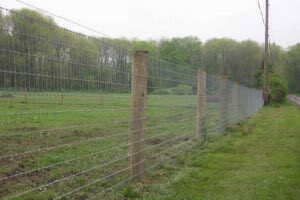 With our years of experience in cattle fencing, we will consult with you for free on what the best fencing options are for your property. Give us a call at 800-433-6236 or fill out our free fencing estimate form.